Agnes is the co-owner of iCreate studio and the head instructor. 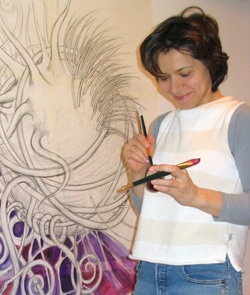 She holds MA degree from Pedagogic Academy in Cracow in Poland, Department of Art Education. She has over 20 years of experience in teaching fine arts. She is considered by her students and peers to be very creative, enthusiastic, patient and effective in her teaching methods. Agnes is also an active artist with a natural inclination for drawing and painting warm-coloured floral and abstract compositions. Peter is the second co-owner of iCreate studio and the program coordinator. 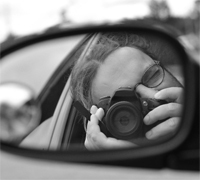 He is a medical geographer by profession and a photographer by passion. He got his first camera before he got his first bike and ever since his viewfinder eye remain open for big and small moments to be captured on his photos.